The New Year stands before us like a fresh chapter in a book. Once you’re done with your year-end reflection for the year that’s ending, it’s time to look forward to the year that’s about to start. What will you write for the next chapter of your life? It’s entirely up to you. Take the first step to make sure that it’s a good great chapter by setting New Year’s resolutions. You’ll find 29 ideas for your New Year’s resolutions, below. Did you know that having a hobby is good for you? Hobbies can lower your stress levels, boost your brain power, improve your ability to focus, and more. Therefore, in 2018, start a new hobby. If you’re looking for ideas for hobbies to try, here are 16 Hobbies That Will Improve Your Quality of Life. With all of the contradictory information out there on what to eat, sometimes it’s hard to decide what to do when you want to lose weight. I try to keep things simple. When I want to lose weight, I just eat less. I recommend you do the same. If you gained weight in 2017, resolve to eat smaller portions in 2018. In addition, as I wrote in my post 17 Ways to Slow Down Aging and Live Longer, people eating a restricted diet live longer and endure fewer age-related diseases. Try eating until you’re satisfied, instead of full. Also, eat more slowly to allow your body to send you cues about fullness. Other reasons for eating less are ethical–that is, social justice, animal rights issues, and environmental concerns–but we won’t go into those here. Make 2018 the year you stop thinking about starting a business and you start taking action –it’s OK if it’s a small business on the side. The first step to take is to write a business plan. Once you get your ideas down on paper, you’ll be that much more motivated to turn those ideas into reality. I’ll definitely be reading lots of books in 2018, and I encourage you to do the same. If you need some convincing on this one, here are 13 Ways Reading Will Improve Your Life. 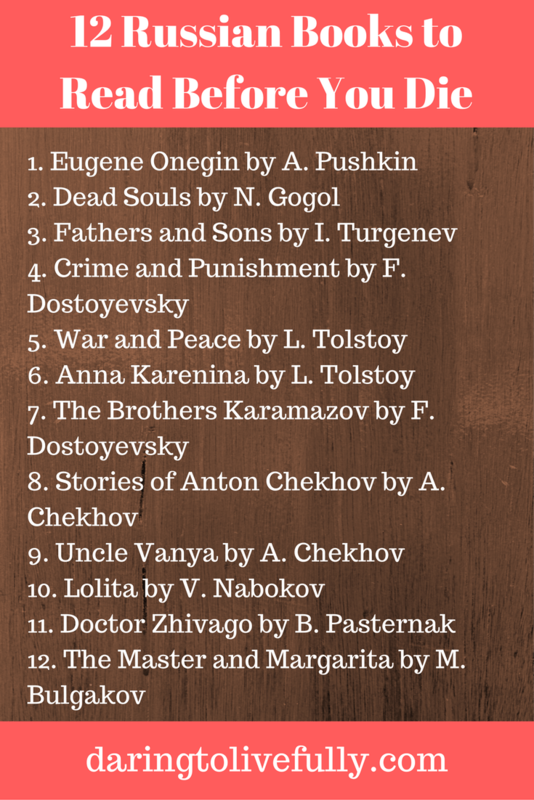 This year, I’m reading the 12 most important books of Russian literature. In fact, I created a 365-Day project for reading Tolstoy’s “War and Peace”–which is a book of prodigious length (roughly 1300 pages long). If you haven’t climbed aboard the gratitude bandwagon yet, this is the year to do it. There are studies that show that gratitude can make you 25% happier. Think about that for a second: you can be 25% happier simply by taking the time to count your blessings and think of all the good things in you life! If you didn’t achieve your goals this year, procrastination was the likely culprit. Make 2018 the year you stop procrastinating and start getting things done. This will help you to ensure that you won’t be sitting there at the end of next year wondering why you never got around to working on your goals. If you want more ideas, here are 50 Simple Ways to Celebrate and Enjoy Life. Include as many of these as you can in your 2018 to-do list. Fortunately, there are ways to become more confident. These include giving yourself credit for what you do, cultivating your inner advocate, and taking consistent action toward the achievement of your goals. Make 2018 the year your confidence soars (but don’t get too cocky, because nobody likes that). Charisma isn’t just important in the political arena, but in all aspects of life. After all, let’s face it: charismatic people are more likely to get what they want. This includes everything from dates, to job promotions. Because charisma is a skill, and not a character trait, it can be learned. Make 2018 the year your charisma skyrockets. 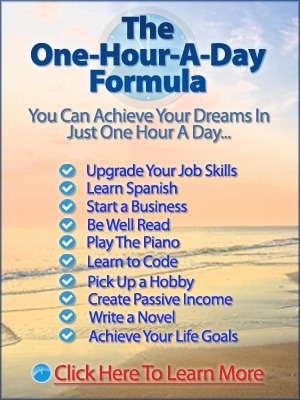 As I wrote in my post, How to Make Yourself Smarter In One-Hour-A-Day, new studies show that, contrary to popular belief, you can make yourself smarter. So, for 2018, why not set the resolution to raise your IQ? Enhancing your brain’s capacity to plan, reason, and solve problems is always a good thing. Set the resolution to increase your EQ, along with your IQ, and in 2018 you’ll be unstoppable. What have you always wanted to learn to do? Do you want to learn to play an instrument, code, knit, whittle? The possibilities are endless. 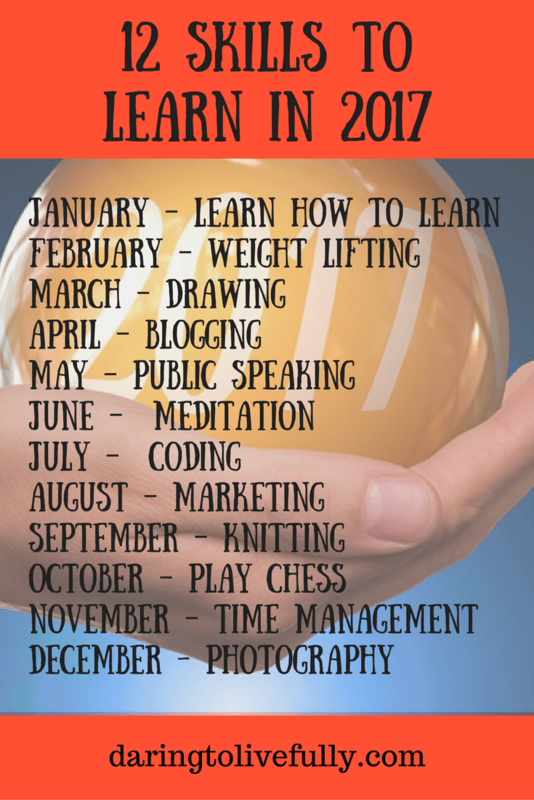 Take advantage of all of the information that exists out there on how to learn new skills quickly and reach the end of 2018 with a couple of new skills under your belt. You may not be able to control how kind other people are to you, but you can always control how kind you are to yourself. This upcoming year, set the resolution to believe in yourself, respect yourself, and treat yourself well. As I wrote in my post, 17 Ways to Be Kind to Yourself, be a good companion to yourself. In fact, take it even further. Make 2018 the year you fall in love with yourself. Life isn’t easy when there’s a monkey in your head. Specially if that monkey won’t stop screeching and jumping uncontrollably from one branch to another (and eating all those bananas). Plan a vacation. The world is a beautiful place, and there are many things to see. Next year, visit a country you’ve always wanted to see. If you’re not sure how you would achieve a goal to travel in 2018, here’s what to do. 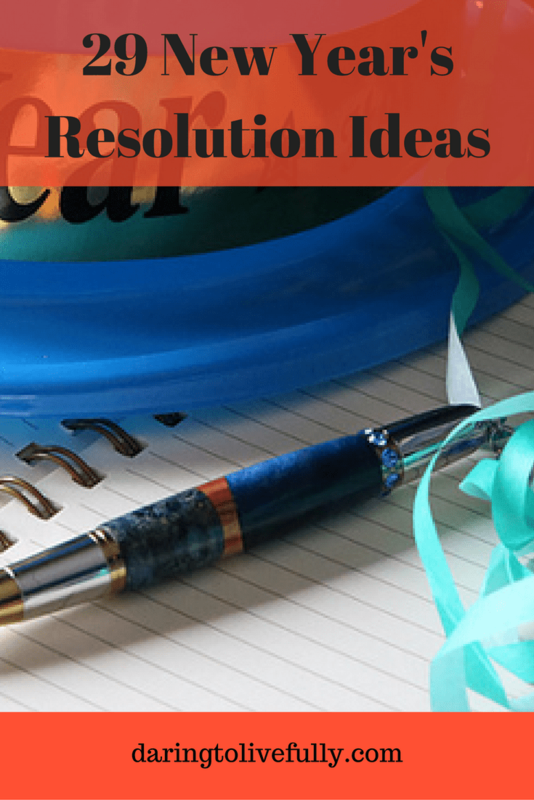 Set the resolution to do good for others in the upcoming year. After all, you won’t just be benefiting those you help; you’ll also be benefiting yourself. Volunteering can give you a sense of purpose, make your life more meaningful, increase your self-esteem, and make you happier. In 2018, get a helper’s high by volunteering. With Bluehost, for less than $75 you can get a domain name and a year of hosting. 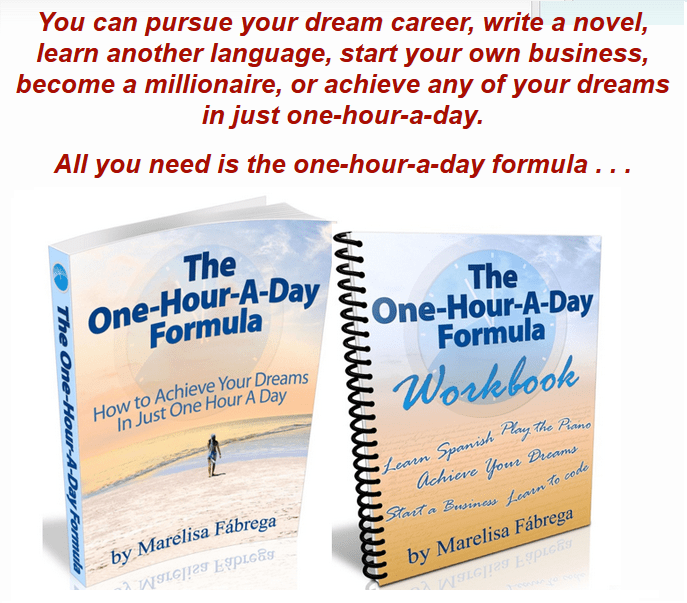 You can find out moreon how to start a blog here.